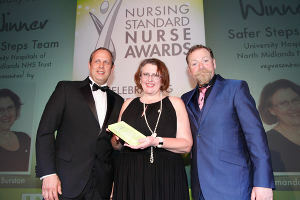 The RCNi Nurse Awards Ceremony is an inspirational evening, showcasing how our finalists have innovatively improved health outcomes, enhanced patient care and transformed nursing practice. Attended by key figures within nursing and healthcare, the ceremony is a wonderful opportunity to network with peers and celebrate the dedication, creativity and passion of nurses in providing high quality patient care. The 2016 ceremony will also mark the centenary of the Royal College of Nursing. This year’s black-tie event will be held at the Westminster Park Plaza hotel, a four star hotel located in the heart of London with stunning views across the Thames to the Houses of Parliament and Big Ben. The evening will commence at 6:15 pm with a pre-dinner drinks followed by a stunning three course dinner. 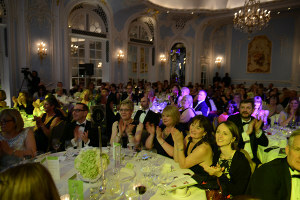 The ceremony, hosted by comedienne Lucy Porter, will begin at 9:15 pm and conclude around an hour later when the overall winner, The RCN Nurse of the Year 2016, will be announced. The fun and celebrations will continue with live music and dancing until midnight. Each finalist’s organisation will receive one complimentary to the ceremony. Additional tickets can be purchased here. * Includes one complimentary finalist’s ticket plus an additional nine tickets.